Devouring Maw Summon a Devouring Maw that devours enemies for 4 seconds. Devoured enemies cannot fight and take 88 damage per second. 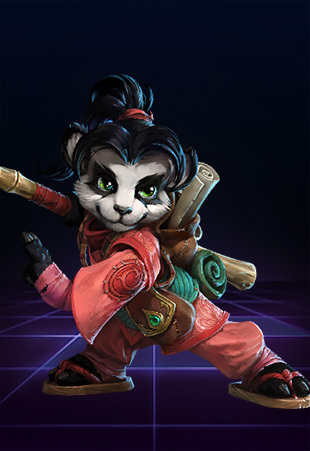 Usable on Unstoppable enemies. Nydus Network Summon a Nydus Worm on Creep anywhere that Zagara has vision. 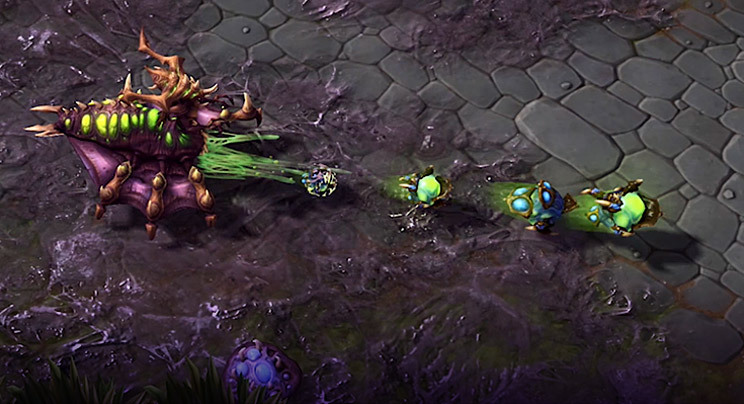 Zagara can enter a Nydus Worm and travel to any other Nydus Worm by right-clicking near it. While inside a Nydus Worm, Zagara regenerates 10% Health and Mana per second. Stores up to 2 charges. Maximum of 4 Nydus Worms at a time. Passive: Creep spreads 15% farther. Passive: While on Creep, each Basic Attack reduces all of Zagara's cooldowns by 0.4 seconds. 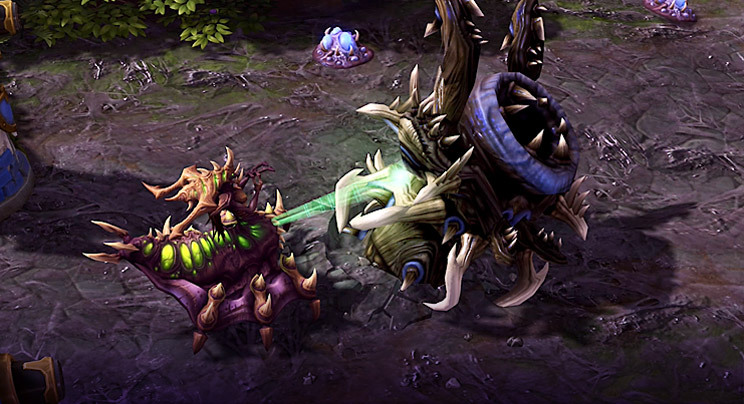 Baneling Barrage Launch 1 Baneling that deals 86 damage to enemies it hits. Stores up to 4 charges. Hunter Killer Summon a Hydralisk to attack a single target, dealing 71 damage per second. Lasts 8 seconds. 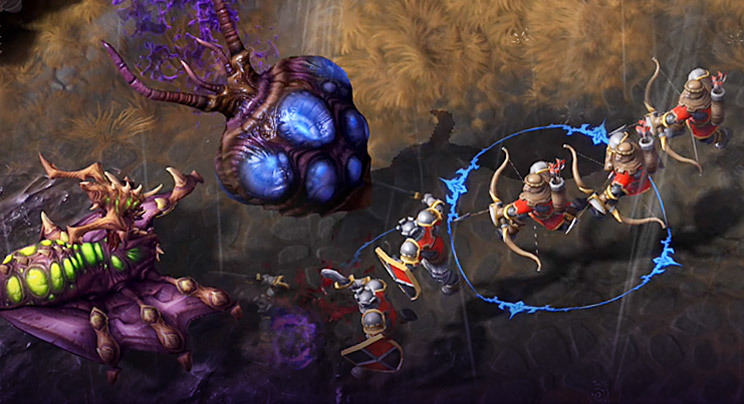 Infested Drop Bombard target area with a Zerg Drop Pod for 140 damage. The pod spawns 2 Roachlings that deal 27 damage per second and last for 8 seconds. Creep Tumor Lay a Creep Tumor that generates Creep. While on Creep, Zagara gains 20% additional attack range and both Zagara and her summons move 20% faster. Tumors last 240 seconds and reveal the surrounding area while active. Stores up to 3 charges. Lay a Creep Tumor that generates Creep. While on Creep, Zagara gains 20% additional attack range and both Zagara and her summons move 20% faster. Tumors last 240 seconds and reveal the surrounding area while active. Stores up to 3 charges. 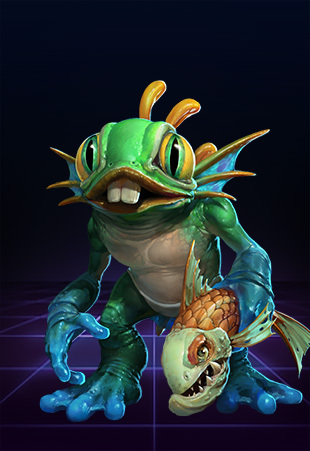 Launch 1 Baneling that deals 86 damage to enemies it hits. Stores up to 4 charges. 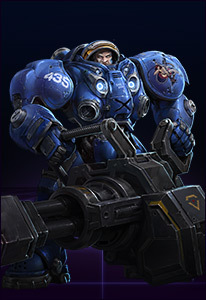 Bombard target area with a Zerg Drop Pod for 140 damage. The pod spawns 2 Roachlings that deal 27 damage per second and last for 8 seconds. 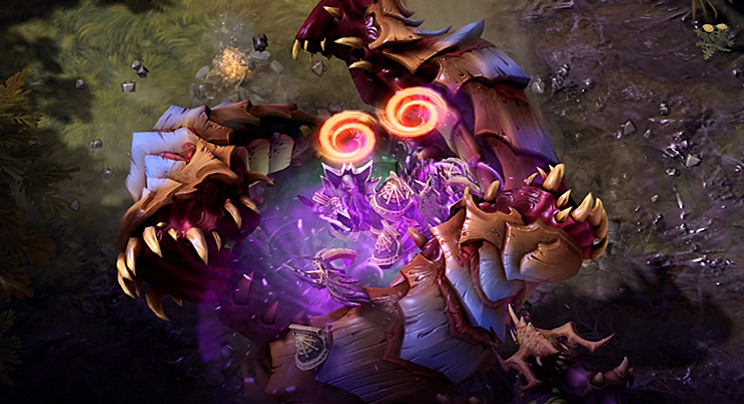 Summon a Devouring Maw that devours enemies for 4 seconds. Devoured enemies cannot fight and take 88 damage per second. Usable on Unstoppable enemies. 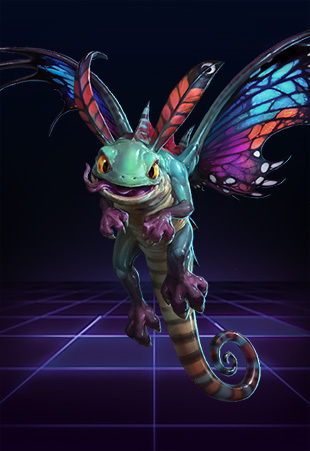 Summon a Nydus Worm on Creep anywhere that Zagara has vision. 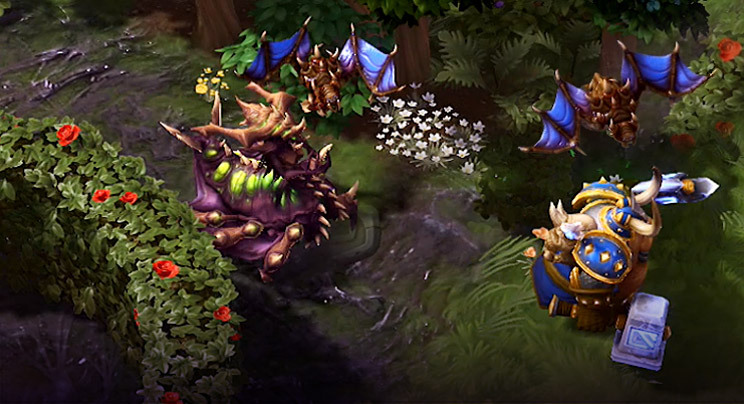 Zagara can enter a Nydus Worm and travel to any other Nydus Worm by right-clicking near it. While inside a Nydus Worm, Zagara regenerates 10% Health and Mana per second. Stores up to 2 charges. Maximum of 4 Nydus Worms at a time. Passive: Creep spreads 15% farther. Passive: While on Creep, each Basic Attack reduces all of Zagara's cooldowns by 0.4 seconds.